For other uses, see Education (disambiguation). 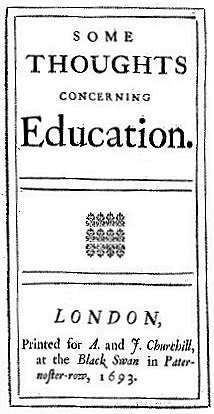 Etymologically, the word "education" is derived from the Latin ēducātiō ("A breeding, a bringing up, a rearing") from ēdūcō ("I educate, I train") which is related to the homonym ēdūcō ("I lead forth, I take out; I raise up, I erect") from ē- ("from, out of") and dūcō ("I lead, I conduct"). In China, Confucius (551-479 BCE), of the State of Lu, was the country's most influential ancient philosopher, whose educational outlook continues to influence the societies of China and neighbours like Korea, Japan and Vietnam. Confucius gathered disciples and searched in vain for a ruler who would adopt his ideals for good governance, but his Analects were written down by followers and have continued to influence education in East Asia into the modern era. The Renaissance in Europe ushered in a new age of scientific and intellectual inquiry and appreciation of ancient Greek and Roman civilizations. Around 1450, Johannes Gutenberg developed a printing press, which allowed works of literature to spread more quickly. The European Age of Empires saw European ideas of education in philosophy, religion, arts and sciences spread out across the globe. 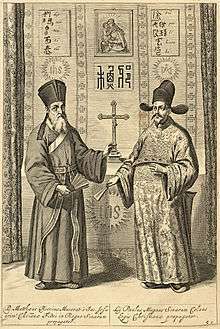 Missionaries and scholars also brought back new ideas from other civilizations — as with the Jesuit China missions who played a significant role in the transmission of knowledge, science, and culture between China and Europe, translating works from Europe like Euclid's Elements for Chinese scholars and the thoughts of Confucius for European audiences. The Enlightenment saw the emergence of a more secular educational outlook in Europe. Preschools provide education from ages approximately three to seven, depending on the country, when children enter primary education. These are also known as nursery schools and as kindergarten, except in the US, where kindergarten is a term used for primary education. Kindergarten "provide[s] a child-centred, preschool curriculum for three- to seven-year-old children that aim[s] at unfolding the child's physical, intellectual, and moral nature with balanced emphasis on each of them." In most contemporary educational systems of the world, secondary education comprises the formal education that occurs during adolescence. It is characterized by transition from the typically compulsory, comprehensive primary education for minors, to the optional, selective tertiary, "postsecondary", or "higher" education (e.g. university, vocational school) for adults. 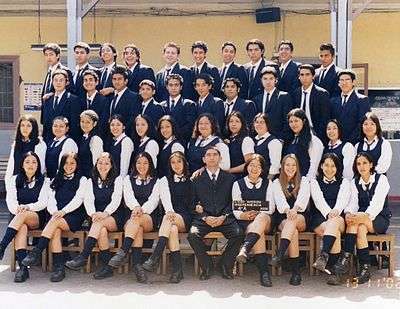 Depending on the system, schools for this period, or a part of it, may be called secondary or high schools, gymnasiums, lyceums, middle schools, colleges, or vocational schools. The exact meaning of any of these terms varies from one system to another. 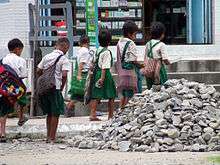 The exact boundary between primary and secondary education also varies from country to country and even within them, but is generally around the seventh to the tenth year of schooling. Secondary education occurs mainly during the teenage years. In the United States, Canada and Australia, primary and secondary education together are sometimes referred to as K-12 education, and in New Zealand Year 1–13 is used. The purpose of secondary education can be to give common knowledge, to prepare for higher education, or to train directly in a profession. Higher education typically involves work towards a degree-level or foundation degree qualification. In most developed countries a high proportion of the population (up to 50%) now enter higher education at some time in their lives. Higher education is therefore very important to national economies, both as a significant industry in its own right, and as a source of trained and educated personnel for the rest of the economy. University education includes teaching, research, and social services activities, and it includes both the undergraduate level (sometimes referred to as tertiary education) and the graduate (or postgraduate) level (sometimes referred to as graduate school). Universities are generally composed of several colleges. In the United States, universities can be private and independent like Yale University; public and state-governed like the Pennsylvania State System of Higher Education; or independent but state-funded like the University of Virginia. A number of career specific courses are now available to students through the Internet. One type of university education is a liberal arts education, which can be defined as a "college or university curriculum aimed at imparting broad general knowledge and developing general intellectual capacities, in contrast to a professional, vocational, or technical curriculum." Although what is known today as liberal arts education began in Europe, the term "liberal arts college" is more commonly associated with institutions in the United States. While considered "alternative" today, most alternative systems have existed since ancient times. After the public school system was widely developed beginning in the 19th century, some parents found reasons to be discontented with the new system. Alternative education developed in part as a reaction to perceived limitations and failings of traditional education. A broad range of educational approaches emerged, including alternative schools, self learning, homeschooling and unschooling. Example alternative schools include Montessori schools, Waldorf schools (or Steiner schools), Friends schools, Sands School, Summerhill School, Walden's Path, The Peepal Grove School, Sudbury Valley School, Krishnamurti schools, and open classroom schools. Charter schools are another example of alternative education, which have in the recent years grown in numbers in the US and gained greater importance in its public education system. In time, some ideas from these experiments and paradigm challenges may be adopted as the norm in education, just as Friedrich Fröbel's approach to early childhood education in 19th-century Germany has been incorporated into contemporary kindergarten classrooms. Other influential writers and thinkers have included the Swiss humanitarian Johann Heinrich Pestalozzi; the American transcendentalists Amos Bronson Alcott, Ralph Waldo Emerson, and Henry David Thoreau; the founders of progressive education, John Dewey and Francis Parker; and educational pioneers such as Maria Montessori and Rudolf Steiner, and more recently John Caldwell Holt, Paul Goodman, Frederick Mayer, George Dennison and Ivan Illich. Informal learning is one of three forms of learning defined by the Organisation for Economic Co-operation and Development (OECD). Informal learning occurs in a variety of places, such as at home, work, and through daily interactions and shared relationships among members of society. For many learners this includes language acquisition, cultural norms and manners. 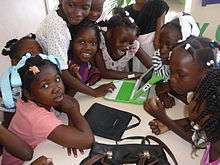 Informal learning for young people is an ongoing process that also occurs in a variety of places, such as out of school time, in youth programs at community centres and media labs. Informal learning usually takes place outside educational establishments, does not follow a specified curriculum and may originate accidentally, sporadically, in association with certain occasions, from changing practical requirements. It is not necessarily planned to be pedagogically conscious, systematic and according to subjects, but rather unconsciously incidental, holistically problem-related, and related to situation management and fitness for life. It is experienced directly in its "natural" function of everyday life and is often spontaneous. The concept of 'education through recreation' was applied to childhood development in the 19th century. In the early 20th century, the concept was broadened to include young adults but the emphasis was on physical activities. L.P. Jacks, also an early proponent of lifelong learning, described education through recreation: "A master in the art of living draws no sharp distinction between his work and his play, his labour and his leisure, his mind and his body, his education and his recreation. He hardly knows which is which. He simply pursues his vision of excellence through whatever he is doing and leaves others to determine whether he is working or playing. To himself he always seems to be doing both. Enough for him that he does it well." Education through recreation is the opportunity to learn in a seamless fashion through all of life's activities. The concept has been revived by the University of Western Ontario to teach anatomy to medical students. Autodidacticism (also autodidactism) is a contemplative, absorbing process, of "learning on your own" or "by yourself", or as a self-teacher. Some autodidacts spend a great deal of time reviewing the resources of libraries and educational websites. One may become an autodidact at nearly any point in one's life. While some may have been informed in a conventional manner in a particular field, they may choose to inform themselves in other, often unrelated areas. Notable autodidacts include Abraham Lincoln (U.S. president), Srinivasa Ramanujan (mathematician), Michael Faraday (chemist and physicist), Charles Darwin (naturalist), Thomas Alva Edison (inventor), Tadao Ando (architect), George Bernard Shaw (playwright), Frank Zappa (composer, recording engineer, film director), and Leonardo da Vinci (engineer, scientist, mathematician). In 2012, the modern use of electronic educational technology (also called e-learning) had grown at 14 times the rate of traditional learning. Open education is fast growing to become the dominant form of education, for many reasons such as its efficiency and results compared to traditional methods. Cost of education has been an issue throughout history, and a major political issue in most countries today. Online courses often can be more expensive than face-to-face classes. Out of 182 colleges surveyed in 2009 nearly half said tuition for online courses was higher than for campus based ones. Many large university institutions are now starting to offer free or almost free full courses such as Harvard, MIT and Berkeley teaming up to form edX. Other universities offering open education are Stanford, Princeton, Duke, Johns Hopkins, Edinburgh, U. Penn, U. Michigan, U. Virginia, U. Washington, and Caltech. It has been called the biggest change in the way we learn since the printing press. Despite favourable studies on effectiveness, many people may still desire to choose traditional campus education for social and cultural reasons. The conventional merit-system degree is currently not as common in open education as it is in campus universities, although some open universities do already offer conventional degrees such as the Open University in the United Kingdom. Presently, many of the major open education sources offer their own form of certificate. Due to the popularity of open education, these new kind of academic certificates are gaining more respect and equal "academic value" to traditional degrees. Many open universities are working to have the ability to offer students standardized testing and traditional degrees and credentials. A culture is beginning to form around distance learning for people who are looking to social connections enjoyed on traditional campuses. For example, students may create study groups, meetups and movements such as UnCollege. Similarities — in systems or even in ideas — that schools share internationally have led to an increase in international student exchanges. The European Socrates-Erasmus Program facilitates exchanges across European universities. The Soros Foundation provides many opportunities for students from central Asia and eastern Europe. Programs such as the International Baccalaureate have contributed to the internationalization of education. The global campus online, led by American universities, allows free access to class materials and lecture files recorded during the actual classes. The report showed some cases of successful voucher and subsidy programmes; evaluations of international support to the sector are not widespread. Addressing regulatory ineffectiveness is a key challenge. Emerging approaches stress the importance of understanding the political economy of the market for LCPS, specifically how relationships of power and accountability between users, government, and private providers can produce better education outcomes for the poor. Educational psychology can in part be understood through its relationship with other disciplines. It is informed primarily by psychology, bearing a relationship to that discipline analogous to the relationship between medicine and biology. Educational psychology in turn informs a wide range of specialties within educational studies, including instructional design, educational technology, curriculum development, organizational learning, special education and classroom management. Educational psychology both draws from and contributes to cognitive science and the learning sciences. In universities, departments of educational psychology are usually housed within faculties of education, possibly accounting for the lack of representation of educational psychology content in introductory psychology textbooks (Lucas, Blazek, & Raley, 2006). Some theories propose that all individuals benefit from a variety of learning modalities, while others suggest that individuals may have preferred learning styles, learning more easily through visual or kinesthetic experiences. A consequence of the latter theory is that effective teaching should present a variety of teaching methods which cover all three learning modalities so that different students have equal opportunities to learn in a way that is effective for them. Guy Claxton has questioned the extent that learning styles such as Visual, Auditory and Kinesthetic(VAK) are helpful, particularly as they can have a tendency to label children and therefore restrict learning. Recent research has argued "there is no adequate evidence base to justify incorporating learning styles assessments into general educational practice." 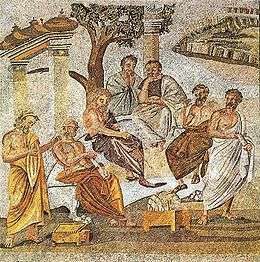 As an academic field, philosophy of education is "the philosophical study of education and its problems (...) its central subject matter is education, and its methods are those of philosophy". "The philosophy of education may be either the philosophy of the process of education or the philosophy of the discipline of education. That is, it may be part of the discipline in the sense of being concerned with the aims, forms, methods, or results of the process of educating or being educated; or it may be metadisciplinary in the sense of being concerned with the concepts, aims, and methods of the discipline." As such, it is both part of the field of education and a field of applied philosophy, drawing from fields of metaphysics, epistemology, axiology and the philosophical approaches (speculative, prescriptive, and/or analytic) to address questions in and about pedagogy, education policy, and curriculum, as well as the process of learning, to name a few. For example, it might study what constitutes upbringing and education, the values and norms revealed through upbringing and educational practices, the limits and legitimization of education as an academic discipline, and the relation between education theory and practice. There is no broad consensus as to what education's chief aim or aims are or should be. Some authors stress its value to the individual, emphasizing its potential for positively influencing students' personal development, promoting autonomy, forming a cultural identity, and/or establishing a career or occupation. Other authors emphasize education's contributions to societal purposes, including good citizenship, shaping students into productive members of society, thereby promoting society's general economic development, and preserving cultural values. Some of the most valued educational resources available are all the books, music and videos works that belongs to Public Domain and were written or recorded (on audio or video formats, most of them are preserved on internet archive website. These files can be used, copied, edited and played without restrictions by any teacher or institution and used for freely to teach about any writer, music or topic in the way that teachers choose to teach, this resources can also be modified and adapted by every teacher. ↑ Dewey, John (1944) . Democracy and Education. The Free Press. pp. 1–4. ISBN 0-684-83631-9. ↑ "what is education". Australian government department of education. 23 November 2016. Retrieved 2 December 2016. ↑ "Plato". Encyclopaedia Britannica. 2002. ↑ "Perspectives Competence Centre, Lifeling Learning Programme". ↑ May, S.; Aikman, S. (2003). "Indigenous Education: Addressing Current Issues and Developments". Comparative Education. 39 (2): 139–145. doi:10.1080/03050060302549. JSTOR 3099875. ↑ Mead, GH (1896). "The Relation of Play to Education". University Record. 1: 141–145. 1 2 Ullah, Sha; Bodrogi, Andrew; Cristea, Octav; Johnson, Marjorie; McAlister, Vivian C. (2012). "Learning surgically oriented anatomy in a student-run extracurricular club: an education through recreation initiative". Anat Sci Educ. 5 (3): 165–170. doi:10.1002/ase.1273. PMID 22434649. ↑ "The State of Digital Education Infographic - #edtech #edutech #edu11". Knewton.com. Retrieved 2012-10-24. ↑ Lohr, Steve (19 August 2009). "Study Finds That Online Education Beats the Classroom — NYTimes.com". The New York Times. Retrieved 2012-10-24. ↑ Parry, M. (2010). "Such a Deal? Maybe Not. Online learning can cost more than traditional education.". The Chronicle of Higher Education. 57 (11). (subscription required (help)). ↑ Harriet Swain (1 October 2012). "Will university campuses soon be 'over'? | Education". The Guardian. London. Retrieved 2012-10-24. ↑ "Is the Certificate the New College Degree? | Jobs on GOOD". Good.is. 8 June 2012. Retrieved 2012-10-24. ↑ news room/latest news/press_releases/2010/2010_02_23_AEW_launch_en. Transparency.org (23 February 2010). Retrieved on 2011-10-21. ↑ de Grauwe, A. 2009. Without capacity, there is no development. Paris: UNESCO-IIPE . ↑ "nabuur.com". nabuur.com. Retrieved 2013-10-03. ↑ "EDUSAT". ISRO. Retrieved 2013-01-01. ↑ Finn, J. D.; Gerber, S. B.; Boyd-Zaharias, J. (2005). 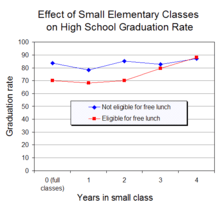 "Small classes in the early grades, academic achievement, and graduating from high school" (PDF). Journal of Educational Psychology. 97 (2): 214–233. doi:10.1037/0022-0663.97.2.214. ↑ Butler, S., Marsh, H., & Sheppard, J. 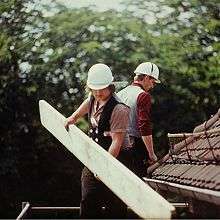 (1985). Seven year longitudinal study of the early prediction of reading achievement. Journal of Educational Psychology, 77, 349-361. ↑ "Type Delineator description". Algonquincollege.com. Retrieved 2009-04-20. ↑ "Learning modality description from the Learning Curve website". Library.thinkquest.org. Retrieved 2010-06-19. ↑ J. Scott Armstrong (1983). "Learner Responsibility in Management Education, or Ventures into Forbidden Research (with Comments)" (PDF). Interfaces. 13. ↑ Pashler, Harold; McDonald, Mark; Rohrer, Doug; Bjork, Robert (2009). "Learning Styles: Concepts and Evidence" (PDF). Psychological Science in the Public Interest. 9 (3): 105–119. doi:10.1111/j.1539-6053.2009.01038.x. ↑ Noddings, Nel (1995). Philosophy of Education. Boulder, CO: Westview Press. p. 1. ISBN 0-8133-8429-X. ↑ Frankena, William K.; Raybeck, Nathan; Burbules, Nicholas (2002). "Philosophy of Education". In Guthrie, James W. Encyclopedia of Education, 2nd edition. New York, NY: Macmillan Reference. ISBN 0-02-865594-X. ↑ Christopher Winch and John Gingell, Philosophy of Education: The Key Concepts (2nd edition). London:Routledge, 2008. pp. 10-11. ↑ "Examples of subjects". Curriculumonline.gov.uk. Retrieved 2009-04-20. ↑ Winters, Marcus. Teachers Matter: Rethinking How Public Schools Identify, Reward, and Retain Great Educators. Rowman & Littlefield. p. 160. ISBN 978-1-4422-1077-6. ↑ Coyle, Daniel. The Talent Code. Bantam Books. p. 159. ISBN 978-0-553-80684-7. ↑ Daron Acemoglu; Simon Johnson; James A. Robinson (2001). "The Colonial Origins of Comparative Development: An Empirical Investigation". American Economic Review. 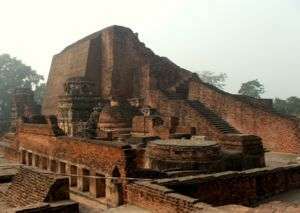 91 (5): 1369–1401. doi:10.2139/ssrn.244582. JSTOR 2677930. ↑ Eric A. Hanushek; Ludger Woessmann (2008). "The role of cognitive skills in economic development" (PDF). Journal of Economic Literature. 46 (3): 607–608. doi:10.1257/jel.46.3.607.